If your school does not have a formal “meet and greet” day, it might be a good idea to write a letter to a teacher to introduce your child to him or her. I am so excited that this year our teacher has actually asked for one! What Do You Want a Teacher to Know? It might be our own fault that in our four previous years of school we have never given teachers this kind of glimpse into our daughter before they got to know her in the classroom. Originally, our trust in the system was still strong, and we had an outstanding teacher in kindergarten. Then the same teacher had her in the first grade, and we thought that she knows her enough. Our meetings with second grade teacher always felt rushed, and even after several months we did not feel like she really gets our daughter viewing her only as a high-achieving “problem-free” student. So now we want to make sure that her new fourth grade teacher understands that while our daughter is a gifted high-achiever, it’s not all rose petals and unicorns for everyone involved. I am sure that I will be able to stay under million words, but I already wrote 4 pages in Microsoft Word, and still didn’t cover everything that I want her to know about Smarty. Will it help our daughter and her teacher have a better year? I want to hope so, because she asked us to share what did not work in the past. 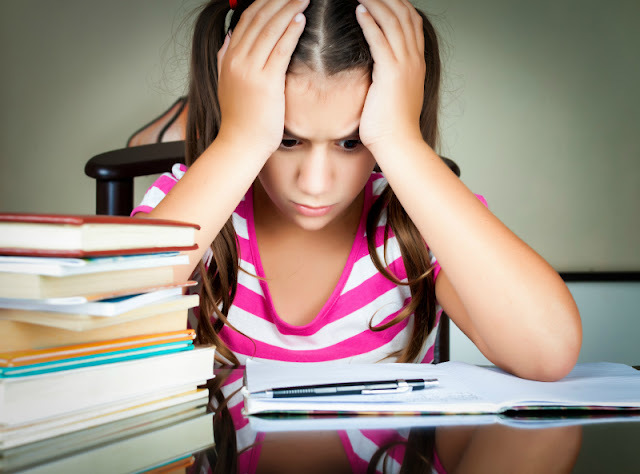 We have a strong opinion that gifted students should not be given the same worksheets as kids who are learning the material for the first time. We also don’t believe in piling more advanced material on top of “busywork”, because this looks more like punishing than encouraging a student to challenge herself or himself. At the same time we are hopeful that this new teacher, who Smarty so far described as “strict but funny”, will help her get more organized – both in time and in space, and will help her believe in herself as a strong writer. We also hope that we can be partners in keeping our gifted learner thriving in public school this year. Will you write a letter to a teacher this year? 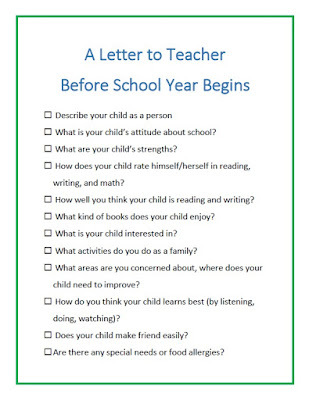 I have put together a simple letter to a teacher printable with important points that can also be used for parent-teacher conference. Thank you for the checklist! My daughter's teacher requested that the parents write her a letter so she can learn more about the kids, which I think is great, but I was a little stuck on what to actually write! Great printable! Emma's teacher called me on the first day of school, which really impressed me. That's a great idea to do!